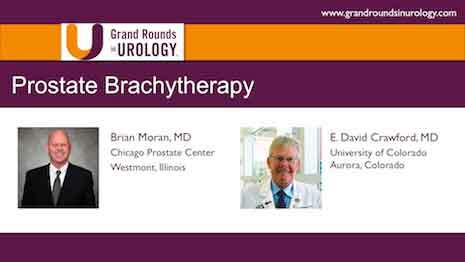 Brian J. Moran, MD, is Medical Director of Chicago Prostate Center, which he helped found in 1997. He has been performing prostate seed implants since 1994. Dr. Moran is a graduate of Loyola Stritch School of Medicine, where he also completed his residency. He is board-certified by the American Board of Radiology. An experienced practitioner of prostate brachytherapy, Dr. Moran has performed thousands of prostate seed implants and has proctored physicians all over the United States and the world, including Korea, Europe, and Hong Kong. 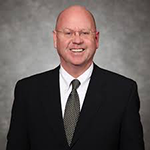 Dr. Moran is a member of multiple specialty societies, including the American Society of Therapeutic Radiology and Oncology, the American College of Radiology, and the American Brachytherapy Society. His emphasis has been on quality of life issues and long-term outcomes for prostate cancer patients. Dr. Moran is a frequent speaker at professional meetings, and has authored numerous publications in medical journals and textbooks.